Users can be assigned different roles for each project that they are assigned. 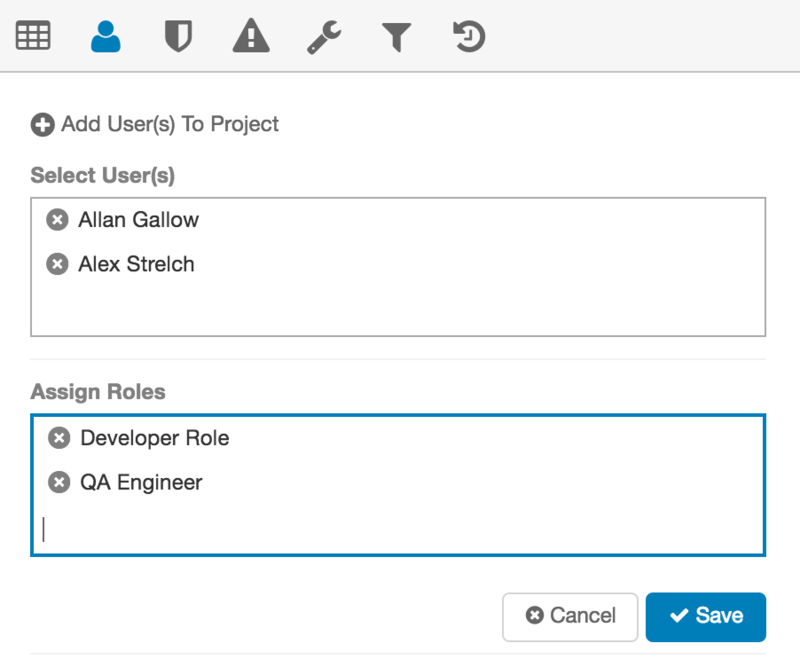 To assign a user to a role, select the Settings/Project and navigate to the Role Tab in the Properties Pane. Select the user(s) that have been added to the project (See Add Users to Project) and assign one or more roles to the selected users. When you have finished, click the Save button.